Choosing the best moving company is half-way to your successful Lipat Bahay! The new year has finally come and most families, young adults and college freshmen are moving to their new place they want to consider home. Moving in is an adventure and as much as possible you would want to limit the challenges to make it hassle-free. Good thing Lalamove is here to ease away your stress and share to you the successful lipat bahay of a family at the start of 2018. “We didn’t know moving houses could be this painless! Omni and Bryce want to start the new year with a new home and they looked for the best moving company they could find. They even opted for truck rentals online which costs a little too much over what you’d think. They shared to us that they moved to their previous condominium unit 2 years ago and Bryce had to do a lot of carrying along with the movers. 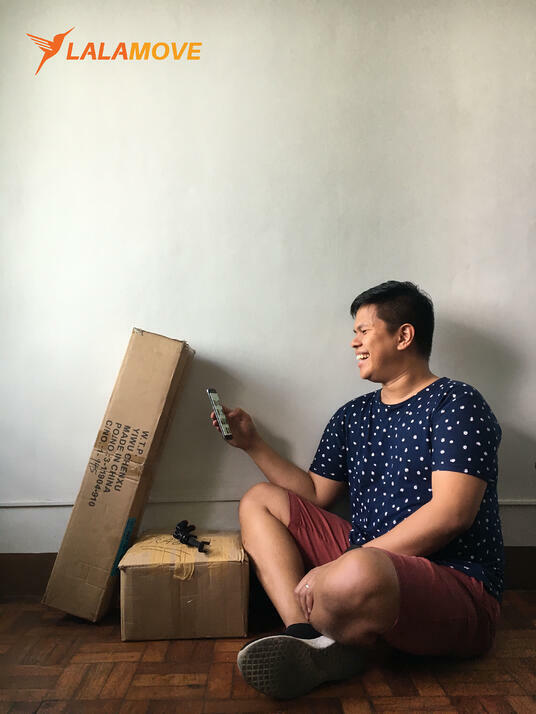 It’s a blessing that they found our Lalamove delivery app to suit their move-in needs. With the app, they simply chose the time and date for their move-in, added in 2 additional helpers, and… yeah that’s pretty much it! They were able to sit comfortably as they watch their packed boxes move from one place to the other and they can even track the vehicle in real time! Moving in has never been this fast and easy.